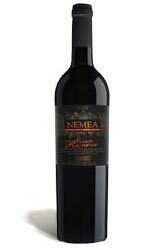 We are offering the finest variety wine that is Agiorgitiko Wine. It is characterized by freshness, intense aromas and delectable taste. Agiorgitiko Wine is essentially a complex red variety, which has the ability to produce a wide range of wine types and styles, from refreshing rose to condensed sweet wines. Agiorgitiko Wine is hygienically prepared using the vinification method. Agiorgitiko Wine features moderately deep red color, moderate acidity, intense aromas of fresh red fruit, and soft tannins. Way of vinification : After delivery, the grapes are pressed. Pre-fermentation extraction takes place at low temperatures for about 3 days and they remain in the tank until exhaustion of sugars. Then, the fresh wine is brought down to the cellar for malolactic fermentation and maturation in French and American oak barrels. It remains there for about 18 months. It is then bottled and remains in bottles for at least 12 months. Suggested cuisine : Korean stir fried beef with garlic, Ideal with red meat stews or cheese platters.